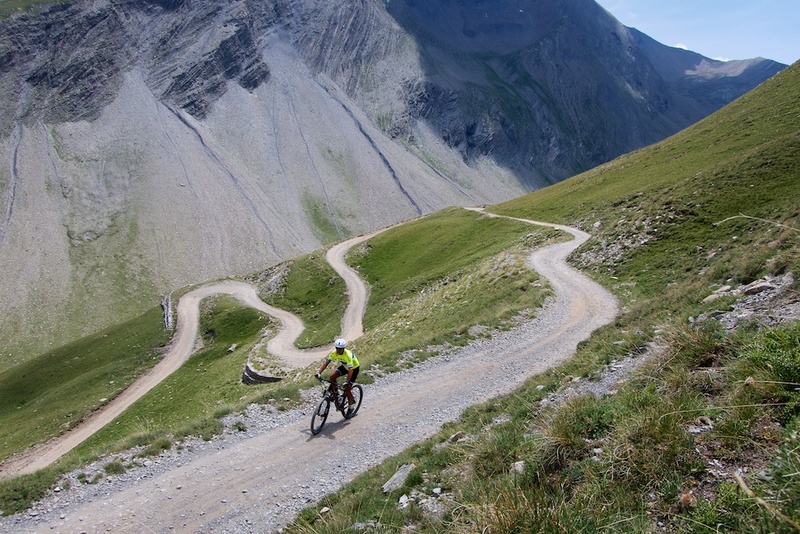 This is one of the great gravel cycling climbs in France. Formerly the highest road in France, both sides are huge, beautiful, and quiet. 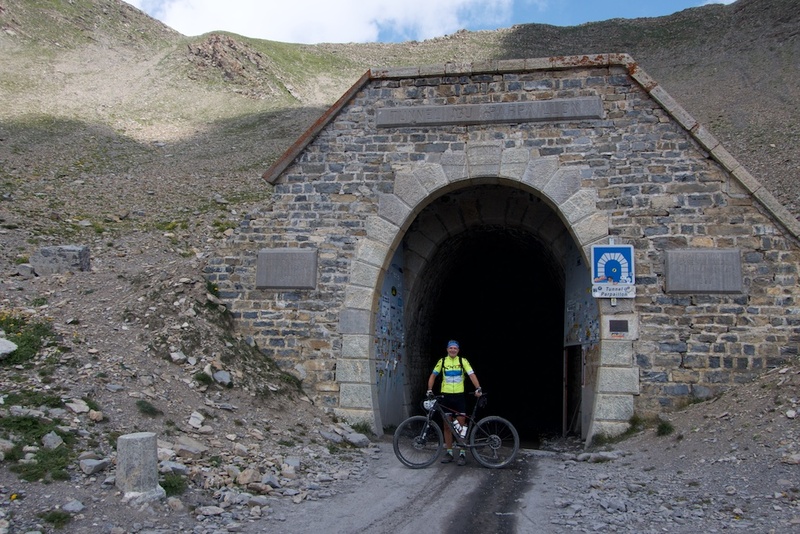 The route du Parpaillon was built between 1891 and 1911 by the French military to link the Ubaye and Embrun valleys. The high point of the road is the tunnel – 520 metres long. 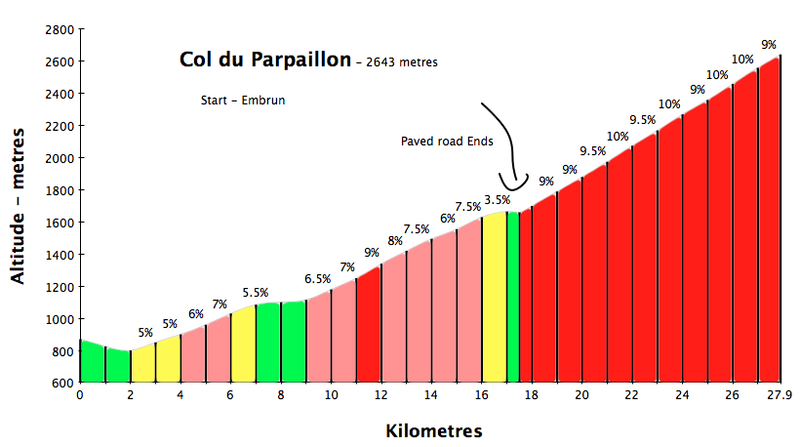 At 2643 metres it is 1 metre higher than Col du Galibier. 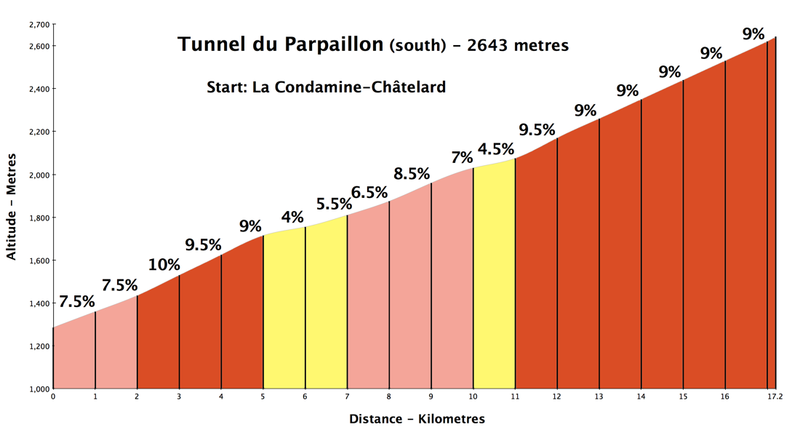 The geographic col is above the tunnel (2780m). Last week I rode the south side, and in 2012 I rode the north side. I’ll provide details of both sides below. This is the shorter “easier” side. 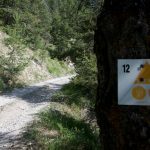 The grade profile is for the direct way from La Condamine-Châtelard – it’s a paved and interesting 6 kilometres to just above St-Anne-la-Condamine to the beginning of the gravel road. But I would ride (mapped below) an unpaved route for virtually the entire climb following the (badly) signed local mountain bike route #12 (pdf brochure). I was glad I rode this more challenging unpaved mountain bike route to begin, skipping the 6 km paved option to St-Anne (I rode it way back in 2008). Turning off just above the start in Jausiers (see map below), the first couple of kms is a trail above the main road. It briefly joins a quiet paved road then becomes a wonderful gravel climb through a light forest. I saw no-one. While this route is “generally” signed, make certain you have a map as key intersections are missing signs. As always, click the bikemap.net map below if you want a downloadable gpx file of the route. Near St-Anne-la-Condamine, after some fun forest trails, I joined the main (gravel) road to Parpaillon. 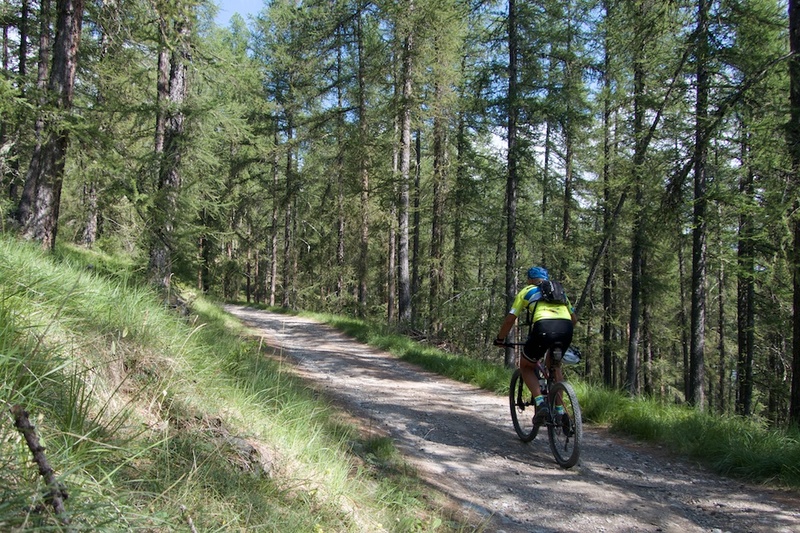 Soon exiting the forest, I entered a remote high valley completely above the tree-line from roughly 2000m. The rest of the route just hair-pinned up the mountain to the tunnel. Fantastic riding. An amazing place. I saw very few people: a handful of hikers, 2 cyclists, and a few motorcyclists. But generally it was silent and empty. My type of road. 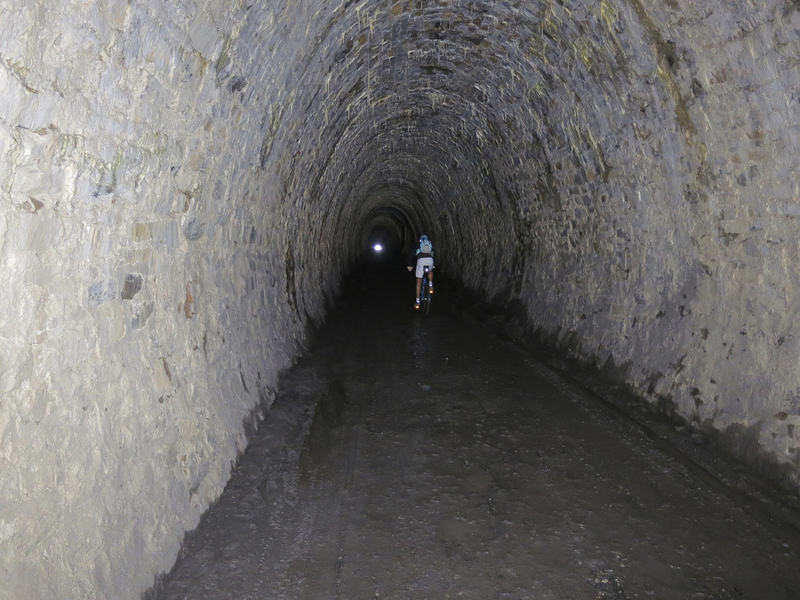 The Tunnel is 520 metres long, unlit but still in good shape. Fine to go through, but bring a light. I went through the tunnel back in 2012, but just turned around here this time. I descended back to St-Anne, taking the paved road from there back to Jausiers. This is about as good a mountain bike loop as I know. I’d say the south side is a touch more spectacular but the north side is longer with significantly more ascent. 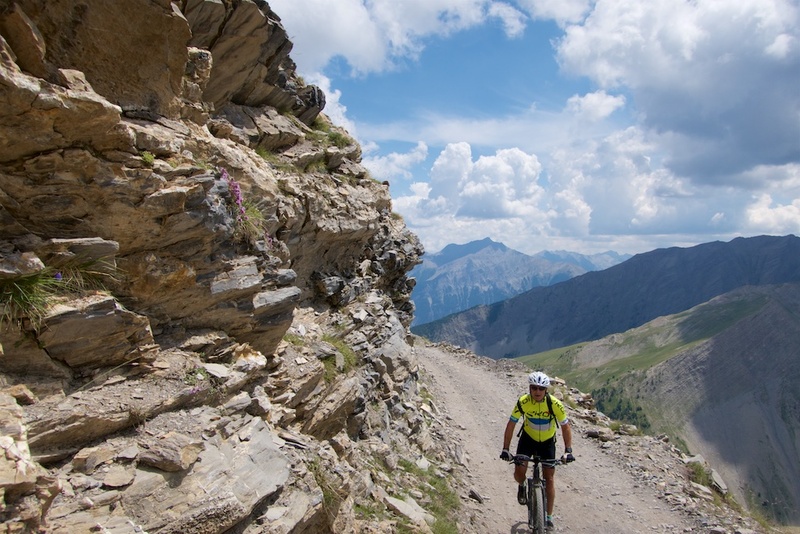 Roads with 1900 metres of continuous ascent are few and far between in the Alps. This is a gigantic climb. So quiet and peaceful. Fantastic. Again I cycled it back in 2012. Details here. 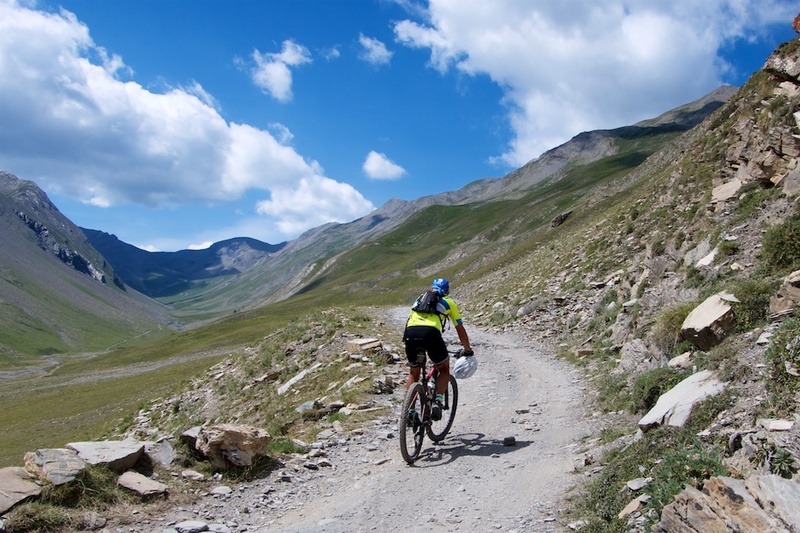 Note, my route has a very “fun” descent going over and down Col de Girabeau (2480m). I know many of you will ask about the surface. It’s a well engineered road but rough in places. Definitely not for road bikes. 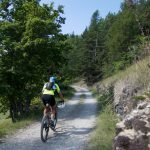 Gravel bikes? Sure. 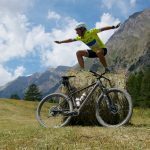 But any ride will include a huge descent and a mountain bike will going down a lot more fun. 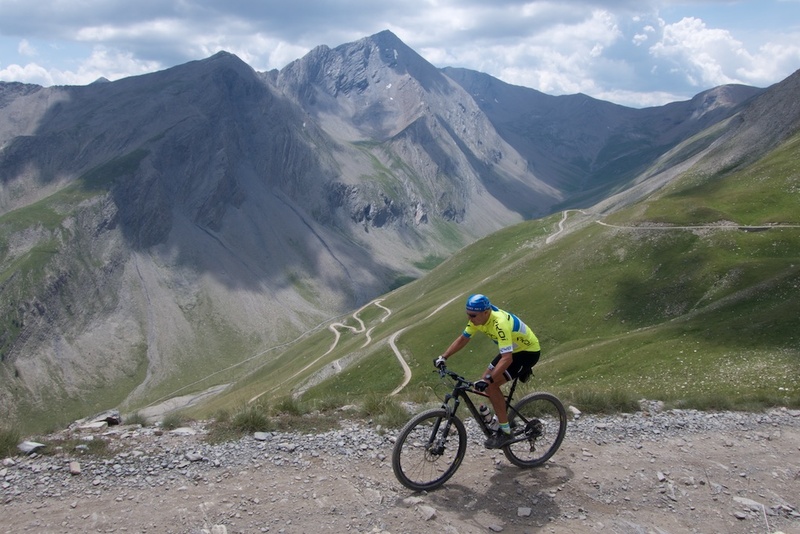 One of the great unpaved climbs in France. High, quiet, challenging. It’s on the list Will. Did the south side in early July on a road bike with 28mm tyres. Ascended without putting a foot down but the descent was tough. It’s a stunningly beautiful climb. Thanks for the info on your website. I’ve used it extensively for cycling forays in France from (distant) Australia.